Dhamra: An Inter School Girl’s Athletic meet has been organised by Adani Dhamra Port at Tihidi block in Bhadrak district on 13th of February. 48 girl aspirants of eight high schools participated in this Athletic Meet. Ram Narayan High school Head Mistress Smt Subhasmita Tripathy inaugurated this one day athletic meet by enlightening the lamp. More than 48 girl aspirants performed excellently. The meet had organised various sports like 100 mt & 200 mt sprinting, long jump, high jump, discos, short foot throw etc. Six PET teachers from various schools had coordinated the meet. Adani Foundation splendidly organised this Athletic Meet at Ram Narayan High School playground of Dolasahi. 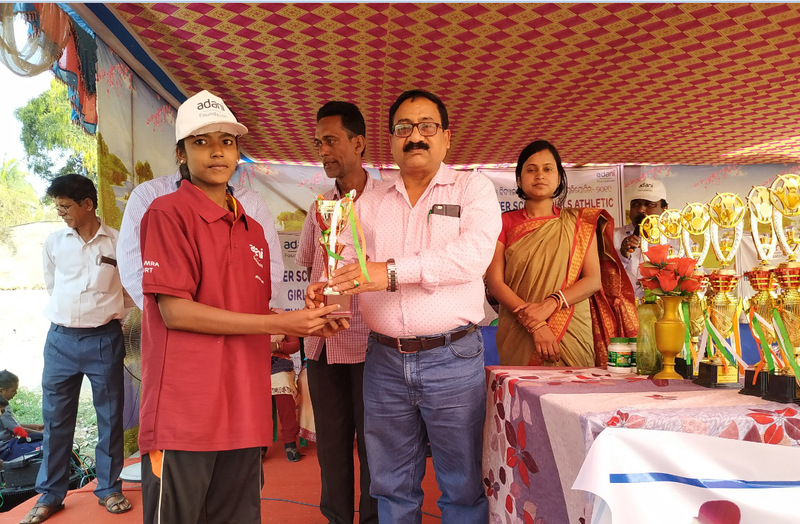 In the ceremony DEO Sri Sangram Sahu joined as chief guest and distributed prizes to the winners and also gave the token of love to the schools for their initiation among the girl students towards sports. The eligible aspirants were awarded after the meet. Adani Foundation regularly organises this kind of sports activities. The aim objective behind these kinds of events is to boost morale and physical development of the girls. Adani Dhamra Port regularly supports these kinds of programmes in schools along with organising them successfully. The workers of Adani Foundation also coordinated this function.